1. John Deere 4560 MFWD SHOWING 6,188 hours & a set of duals for the 4560. 2. John Deere 4430 with cab +/- 8,000 hours, tac was changed at 7,900 hours +/-. 3. John Deere 2520 7,597 hours showing, side console, diesel. 1. Ford 555 C Backhoe with cab showing 7,571 hours. 2. 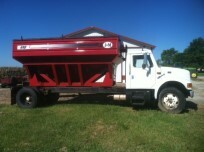 +/- 1994 Chevrolet Kodiak Grain Truck 145,331 gas truck. 3 Gravity Bed Wagons (2) J&M's all John Deere running gears. 1. 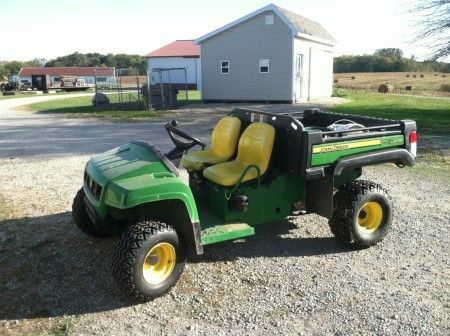 John Deere Gator 4 x 2, gas. 1. John Deere 275 Disc Mower 3 pt.